MEXICO CITY — Based on most early signals, the renegotiation of the North American Free Trade Agreement isn't going well. President Donald Trump has renewed threats to exit the pact, labour groups want to force Mexico to adopt labour and salary standards that it won't accept on its own, and the most contentious issues are still waiting to be taken up. 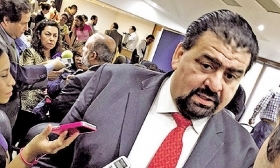 Eduardo Solis, president of the Mexican Automotive Industry Association, sees through the public posturing and finds reasons for hope. "There's a lot of noise going around," he said after the second round of talks concluded in the Mexican capital last week. "There's a lot of little messages on social media." But the obsessive skepticism is unfounded, said Solis, a negotiator of the original NAFTA a ​ quarter-century ago. The negative vibe "is a sentiment that is coming from outside" the talks, he told Automotive News at an industry event last week. "From within, there is a lot of seriousness in a process that is moving forward." Solis takes solace in the fact that there is an aggressive calendar for the talks, experienced negotiators who know each other, and a proven track record of hashing out the toughest of topics. After all, they did it in the runup to NAFTA back in the 1990s. "I think this is a very robust process," he said. "We have very experienced negotiators. And we have a process that has been very professional." Solis isn't blind to the hot-button topics that are likely to spring up as early as this month when the third round of talks takes place in Ottawa, Sept. 23-27. The United States has said explicitly that it wants to use the NAFTA renegotiation to reduce or eliminate its trade deficit with Mexico, much of which comes from finished autos and auto parts. That might involve seeking a U.S.-only content requirement for duty-free treatment under the trade bloc's rules of origin. Currently, autos must have 62.5 percent of North American content to qualify for duty-free status, regardless of which of the three nations it comes from. Carving out so-called rules of origin for each country is a red line for Mexico, because it would favor one nation over its pact partners. Solis pointed out that the United States hasn't made a formal proposal to change the rules of origin, but that could end later this month as talks accelerate with the Canadian round. When that "elephant" is thrown on the table, that's when the negotiators get to work. "We are betting on having a good agreement because that has been the foundation to grow our exports and investments," Solis said. 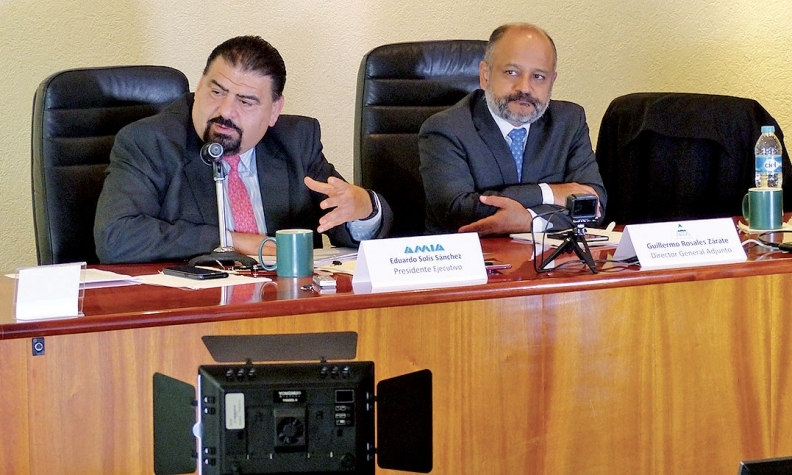 Eduardo Solis, left, Mexican Automotive Industry Association president, and Guillermo Rosales, co-director of the Mexican Automobile Distributors Association, at a news conference last week. Mexican Economy Minister Ildefonso Guajardo called the second round of talks in Mexico a success, but acknowledged that the negotiators deliberately chose the easier topics to address immediately while leaving the toughest ones for later. In addition to rules of origin, which the auto industries in the three nations want to keep the same, another topic that could be broached in this month's Canadian round is the United States' efforts to cut its trade deficit with Mexico, which has vowed to resist any new tariffs. Negotiators could also address the current mechanism for settling trade disputes, which the United States wants to throw out and Canada and Mexico are intent on keeping. Said Guajardo: "Fundamentally, it comes down to this: Close [the chapters] that we can immediately achieve in the short term, express our differences in concrete unified texts, and begin a discussion on those topics of great complexity to see if we can square the circle."